For most entrepreneurs who sell online, organic reach is very competitive. With big brands who have built up their domain authority for decades and collected thousands of backlinks, how do you as a small e-commerce startup compete? Whether you are using Shopify, eBay, Etsy or Amazon it is important to have a great content marketing strategy. 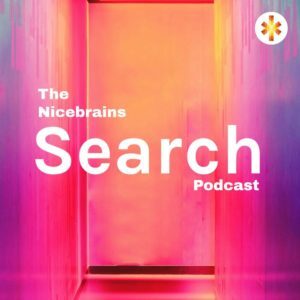 In this episode of the Nicebrains search podcast, we do a live search of popular e-commerce products and explain why the top results have been chosen by Google! We then go on to explain how new e-commerce websites can use content marketing to increase web traffic and find new customers. It is all about doing your keyword research effectively by thinking very carefully about what words your target audience will be searching for and how you can answer their questions!